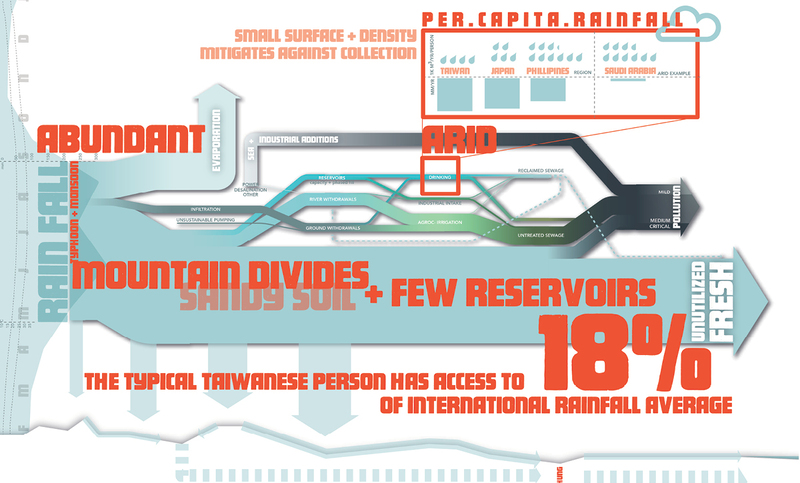 Taiwan is currently major issues of water quantity and quality. Despite abundant rainfall, a lack of reservoirs and inadequate wastewater facilities contribute to general contamination. 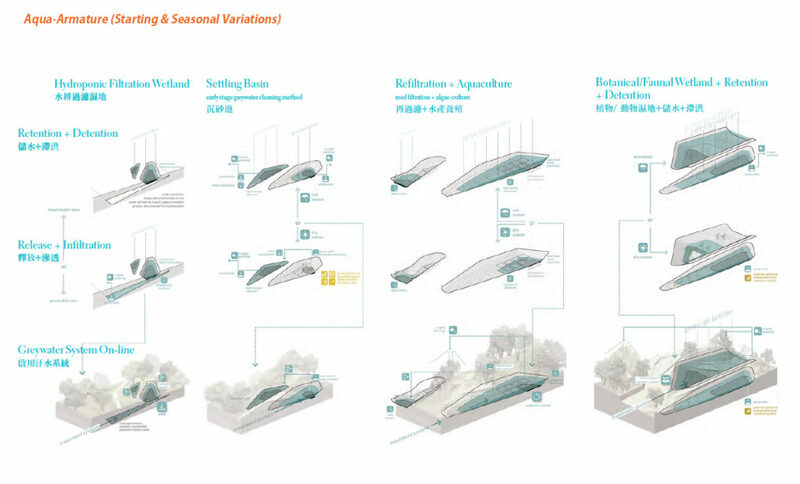 In response, Aqua-cultures proposes an innovative park model that integrates recreation, culture, water treatment, and biodiversity. 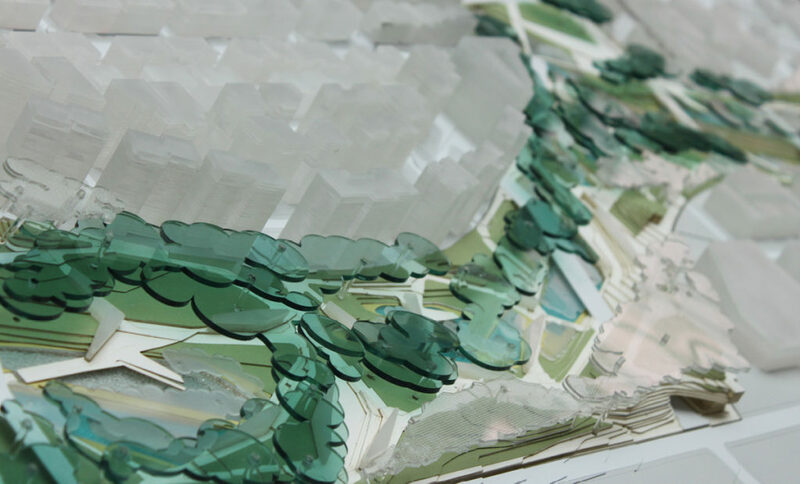 On an abandoned air-field, this project proposes a new terrain of sculpted pools, paths, and cultural nodes, weaving together recreational, cultural, and ecological activation. 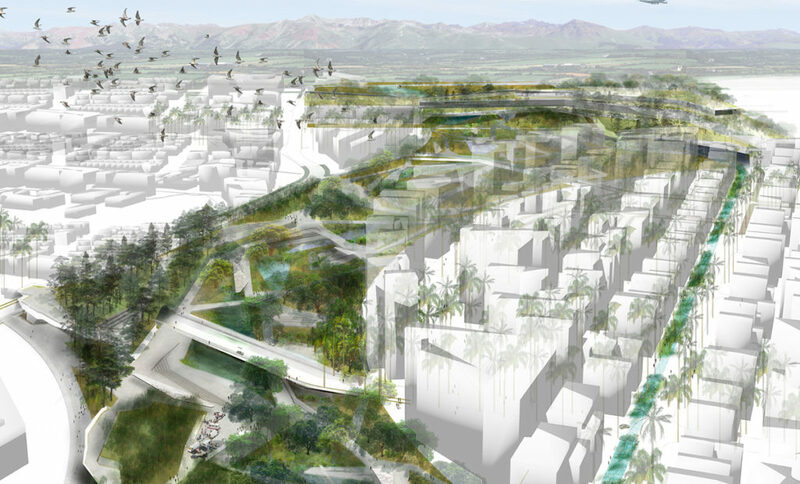 With simple cut and fill, a constructed valley runs from the Gangwei River to Xiashibei River, providing aquatic program anchors and cleansing water. The forest stretches from the pools to the higher elevations, providing shade, habitat, and areas of sheltered program. 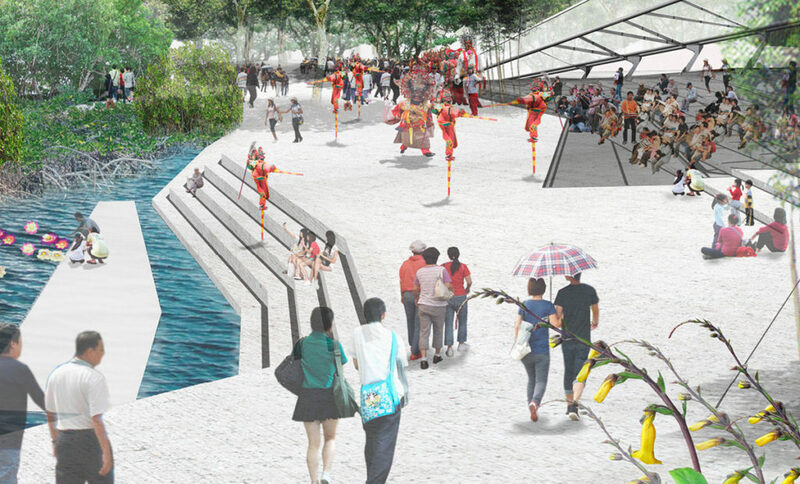 And, circulation and infrastructure networks provide access and responsively widen to create cultural nodes and recreation spaces. 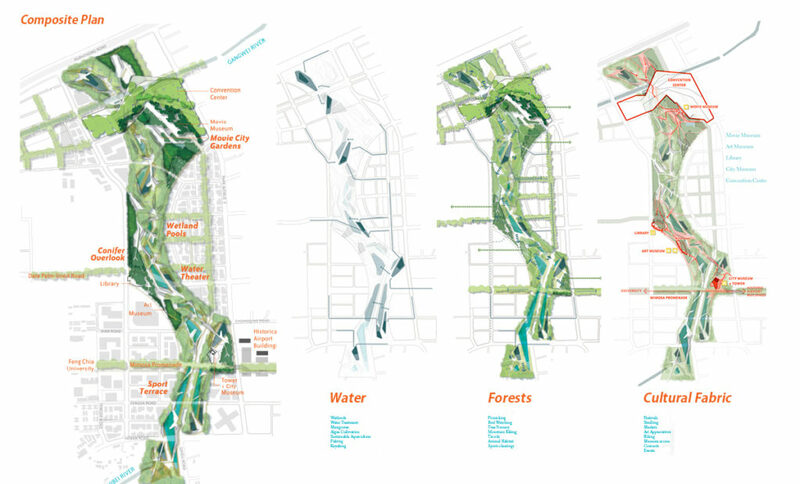 Throughout the park, pools and forest come together for an array of opportunities. 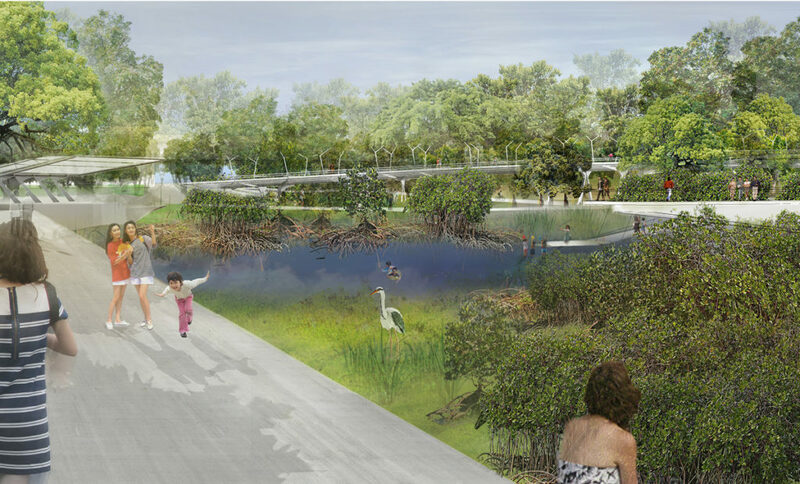 When greywater first enters the system, large programmatic plinths extend over the pools, allowing visitors to safely take in expansive views of the park. As the water is cleaned, these plinths lower to the water table, allowing for activities such as fishing and kayaking. In the forests, irrigated broadleaf transplants create an established landscape immediately, with clearings for recreation, and conifer stands and nurseries for public collection, education, and interpretation. Together, this symbiotic armatures provides a sustainable vision and evocative experience of water management for Taichung. 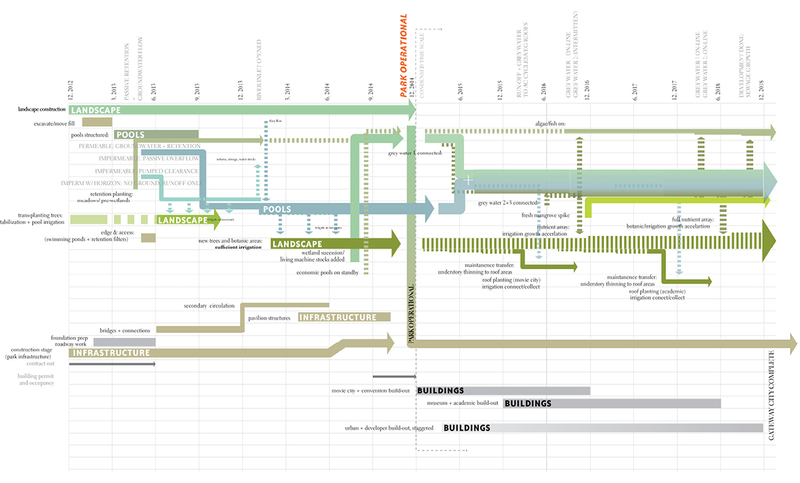 Developed during her time at Stoss, Meg Studer was the project manager and a designer on Aqua Cultures. The larger Stoss team included Jill Allen, Fiona Luhrman, Emily Schlickman, Thomas Clark, Iggy So, and Andi Adler. 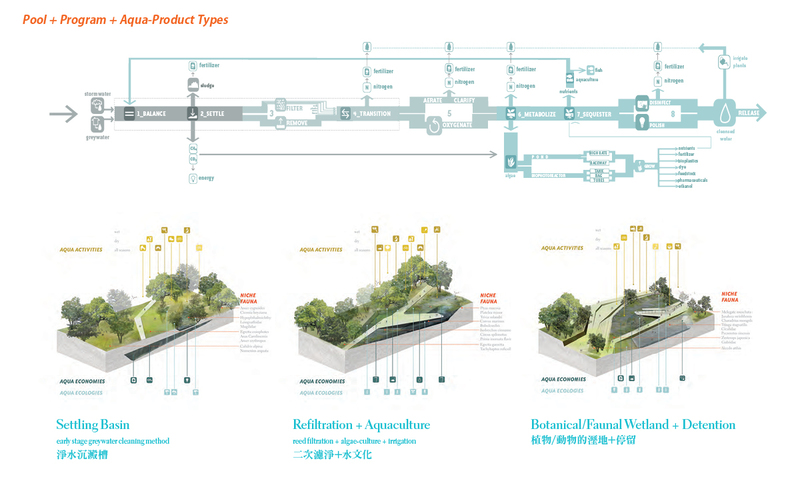 Partnering with Stoss as lead, collaborators included Shu Chang Associates Architects, Arup, Project Projects, and Hang-Ming Hsia. 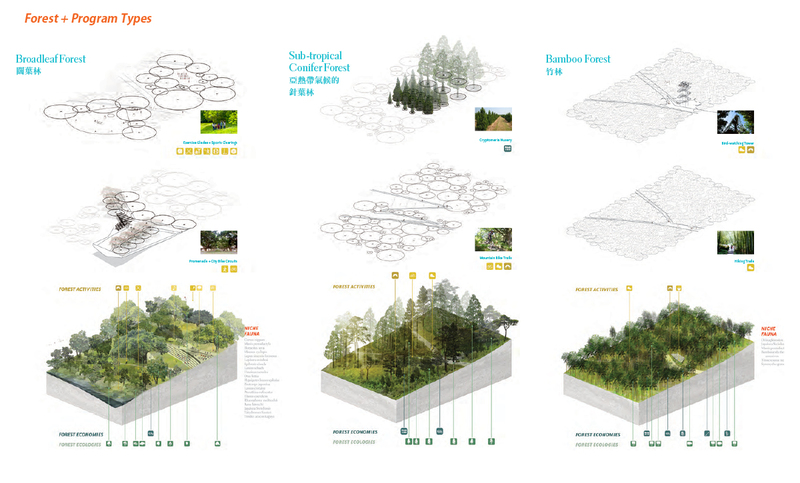 2011, Finalist, Taichung Gateway Park Competition. 2012, Boston Society of Architects Honor Award in planning.